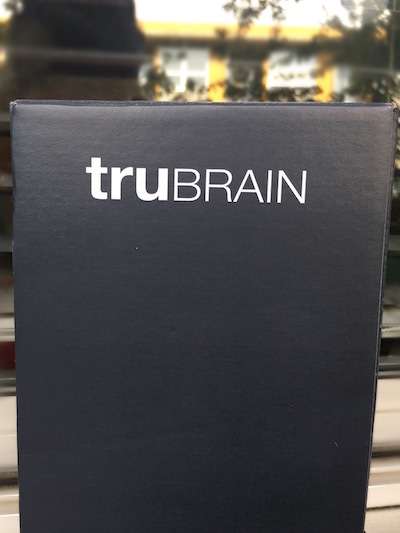 I was given a sample of truBrain for this review- but ALL thoughts in this review are my own and do not affect my review in any way. As we all do, I find myself spending lots of time on Instagram, scrolling through my feed and running into sponsored posts along the way. One of these was from the brand truBrain. At the time I was in a daily cycle of particularly unfocused slumps- and was intrigued by the ad and its claims to improve focus without the negative side effects of caffeine. I did some research and decided to reach out to them and asked if I could do a review on the products for them, which they agreed to and then promptly sent me my first box to try! 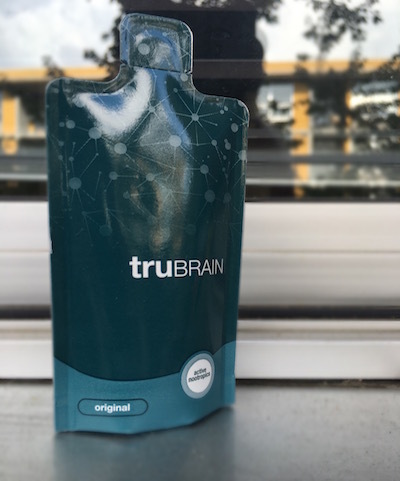 truBrain is a Nootropic drink that has a multitude of benefits. 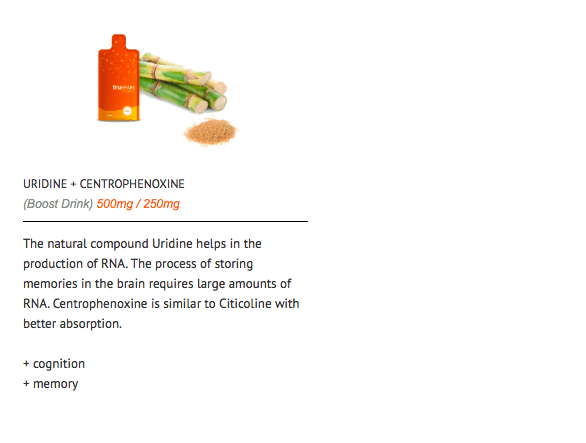 But- What is a Nootropic? Nootropics (new` tro` picks) are nutrients that improve cognitive function through safe and natural calibration of oxygen and blood flow. Our nootropics are “active”, which is notable compared to other brands who don’t have bioavailable nootropics. This means the amounts they include won’t be in effective doses after going through the digestive system. 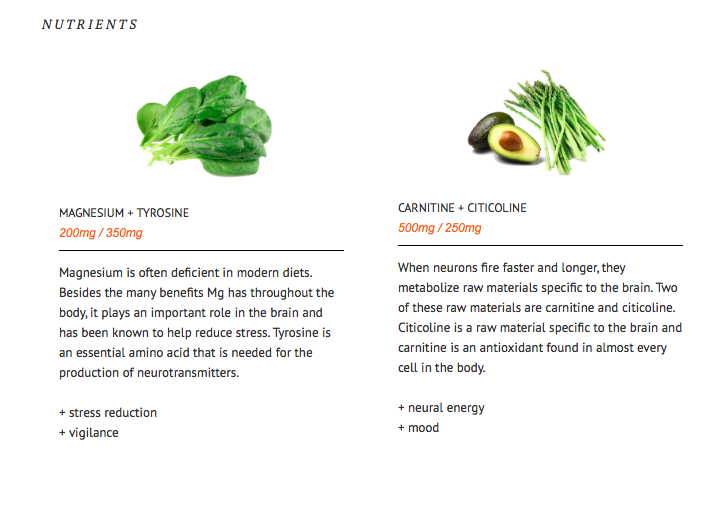 Nootropics fundamentally replace what gets consumed by your biology. They are not for energy, per se. That is too basic of a description (boy would that be convenient for us, but so very ordinary). Nootropics supply the underlying raw materials your brain consumes when it is processing, and they promote brainwaves ideal for your best thinking. In other words, it’s a supplement. A far more sophisticated version of an energy drink that helps you think better and have a lot more cognitive function in your day-to-day life. Just for a little background on me- I actually think pretty fast and can wak up easily without any coffee at all. In fact, I think my brain moves a bit *too* fast sometimes and I tend to overthink things. I’m the type of person that can wake up, lay in bed and begin reading e-mails and immediately jump into something if the situation arises. I can move from one task to the next, or move from one transition to the next with ease. After going through almost a whole box on truBrain- I honestly didn’t tell much of a difference in myself. I almost finished the whole box and really wanted to tell SOME kind of difference- but it was just a new addition to my daily routine that didn’t really affect much of my day. However- they were miracle workers on my husband! 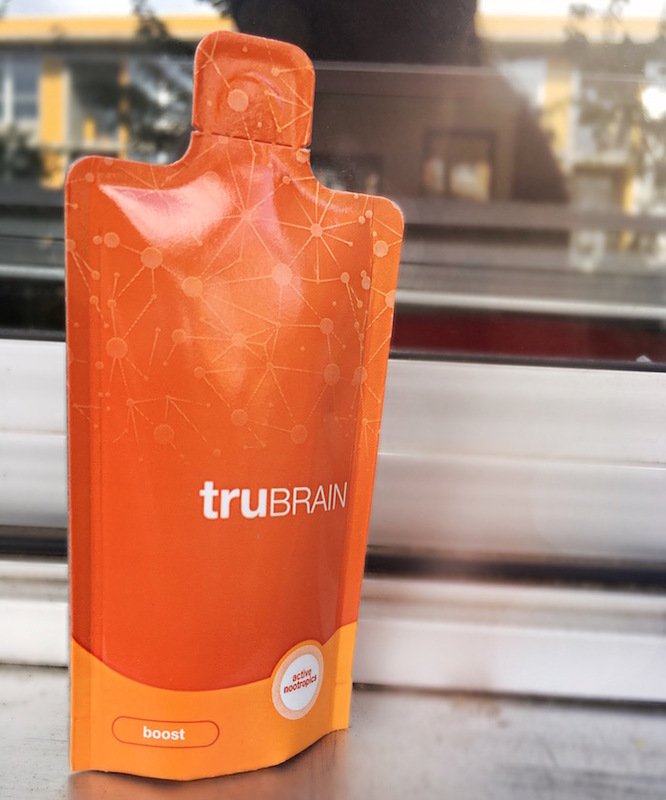 My husband was feeling particularly sluggish and slow one morning, and I suggest he try out one of the truBrain packets I had left. He suffers from ADHD and has a really bad habit of losing things, getting things together, just processing on a slower level. He’s a very smart guy- for years he’s struggled with these symptoms and he hates it. On that first day he took the truBrain- he noticed a major difference. I told him he could finish out my box if he wanted which he was excited about. After taking a few more truBrain packets- he reported that he felt so much more efficient and productive at work and that he was just firing on way more cylinders than normal. He was really thrilled that he hadn’t misplaced anything and he felt like instead of being a step behind himself he was a step ahead which was a new feeling for him. My husband loved them so much he ordered another box for himself. He is really excited about thinking more clearly on a daily basis. To be honest- I had no idea that it would work for him so well! I think it’s really interesting to keep in mind when deciding on a product’s viability that we are all so different- hence why I saw a lot of mixed reviews for the product. Heck- even this review itself is mixed. I couldn’t tell any particularly negative effects from drinking truBrain. But I personally didn’t find enough positive effects, either, that would make me purchase it again. The product is very high quality, the packaging is great, the taste is…fine…(more on that below), but it just wasn’t for me. Maybe if I took it more I would tell a difference? Possibly. But I realized that my initial perceived loss of focus wasn’t so much my brain chemistry as much as I wasn’t giving myself adequate breaks/nourishing myself properly, and since then I have adjusted some of my routines to avoid these slumps. But if you suffer from ADHD or ADHD-like symptoms- this just may be something that can help you feel normal without totally zapping your personality like Adderal or other ADHD medications. I think it’s worth a try. I do want to note that I am in no way, shape or form a medical doctor- I’m just sharing anecdotal evidence and my and my husband’s personal experience. If you’re worried about the ingredients on this and if it’s safe- not to worry. 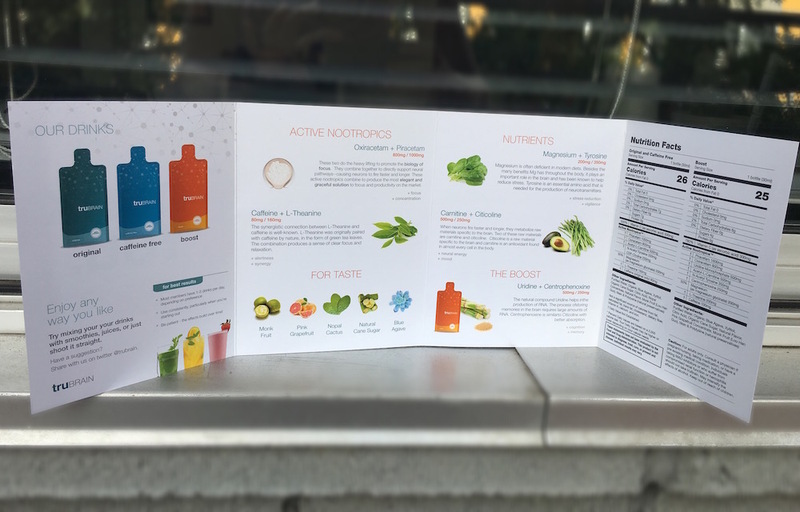 My husband actually has extensive experience in the supplement and naturopathic industry and was very familiar with these ingredients and vouched for their effectiveness. And the effects spoke for themselves. 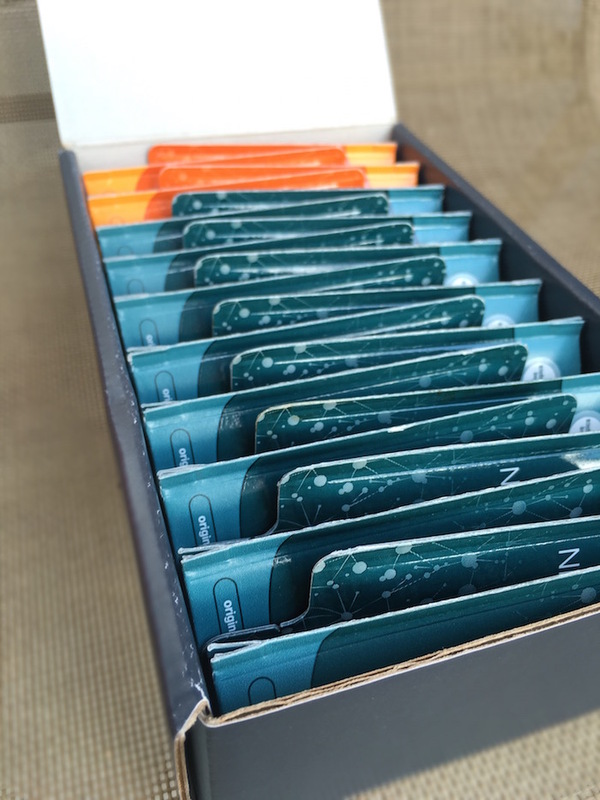 Each box of truBrain comes in increments of 20, 30, or 60, and you have the choice to choose a caffeinated or decaffeinated version. They also have pills- but I tested the liquid packets. The packets are a sort of aluminum/light cardboard/plastic hybrid. While there is a tear-off tab at the top, we found it was easiest to use scissors to get it off cleanly. It was easy to drink them like a shot this way. If they are too strong for you, you can always put in a cup of water to dilute a bit. It took a few swigs before I got used to the flavor. It’s…interesting. I would definitely advise treating this like a shot- not as something you take sips on. The best way to describe it is that it’s a sort of a more watery cough syrup/fruit juice hybrid with a touch of bitter aftertaste. The initial flavor is very fruity but it gets a little acrid on the back-end. I’m not a huge fan of the flavor- but if this is something that benefits you, it’s not unbearable or anything. My husband doesn’t seem to mind it. They say you can also put it in smoothies if you like, but I personally don’t think it would really cover the taste up? I have yet to try it, though, to be fair. 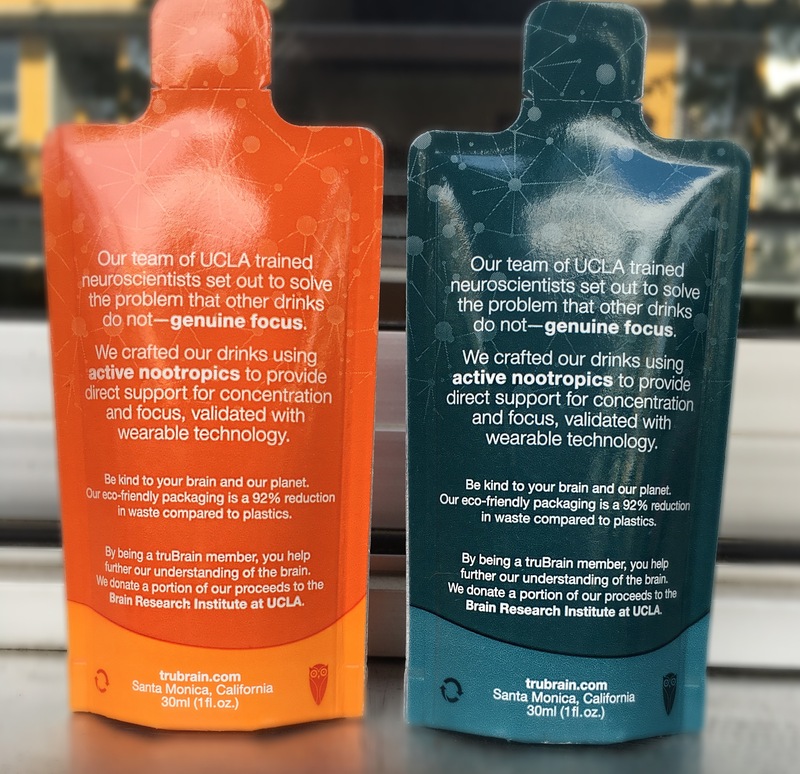 To flavor the drinks, they use mangosteen, monk fruit, nopal cactus , natural cane sugar, and blue agave. If I was to continue taking these, I’d definitely go for the pill form. 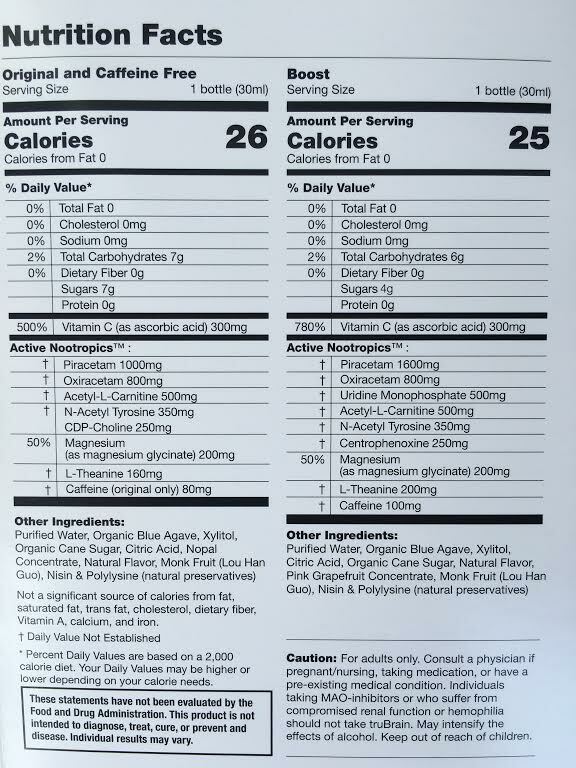 However, the liquid format is much better for absorption so keep that in mind! Do you have a hard time getting your brain “revved up?” Do you have ADHD or ADHD-like symptoms? If so, I’d definitely consider trying truBrain. You can tell this company is super legitimate and well-researched, the ingredients are safe and effective, and it’s convenient. Can you get these ingredients elsewhere and create your own blend? Sure. But you’re paying for the convenience factor, the pre-mixed packets you can quickly throw in a purse or bag or take while running to work, and for the effectiveness and quality assurance. While these are not cheap necessarily, it just depends on how much you think you can benefit from a product like this. Pretty much like any other supplement, it’s not for everyone, but you always need to do your own research and pay attention to your own body. If mental cognition is an area you struggle with- look into it. It may surprise you!